I have to wonder if people fully grasp what Jesus meant by, “take up your cross daily” and “remain faithful even when facing death.” I fear I live in an age with a very shallow concept of faithfulness. Athletes change teams as easily as changing underwear. People promise at the altar to love until death, but disappear when the next flirt comes along. Today’s employers don’t even want faithful long term employees, because they don’t want to pay anyone enough to be faithful to their company. I fear we live in an age where everything is supposed to be convenient. Suffering long simply means waiting a couple seconds for a webpage to download. When was the last time you heard baptismal vows read before a baptism? How many know what baptismal vows are? Its easy to be faithful when there is no standard to be faithful to. God said, “Let us Create man in our own image” and for the last six thousand years, we have been saying, “No! Let’s create God in our own image.” Its easier to be faithful when we are the ones who make the rules. Recently, while reading The Great Controversy, I understood the importance of everyone worshiping according to their own convictions. But how many times do we call it conviction when it is actually personal taste? There is a difference between following your personal convictions, and just following your personal desires. Occasionally, I get a call from someone, telling me they were sorry they missed church, but they had a really hard week. What I don’t tell them is, millions attended church that weekend, who also had a really hard week. Families will tell me its hard to get out to midweek service, with school and homework and all. Really? Did school and homework just begin around 2014? 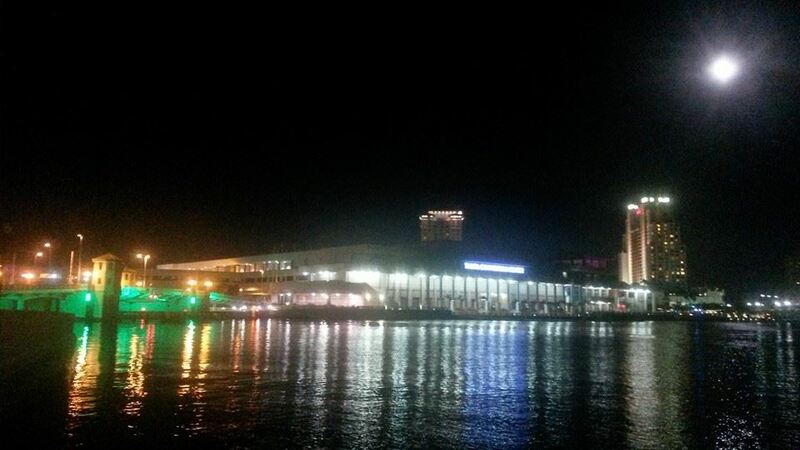 Millions of folks have been attending midweek services for ages now, and I am quite sure they had kids in school too. Homework is nothing new. Yet in an age of shallow faithfulness and outright selfishness, John see that God has produced a special people like no other people before. There are people in every church from Adventist to Catholic, and every church in between who know what it means to take up their cross and be faithful, even in the face of death. And here I am sitting in my cozy house on my nice comfy chair with my laptop just typing about it. What a wimp I am! And to think I’m the one wondering if everyone else knows what it means to be faithful! I think I still have a few things to learn about sacrifice and faithfulness. How about you? Donnalee Jackson and I at outdoor church in Plant City last Sabbath. As a Bible Worker, I love hearing how people have come to know and accept Jesus as their Savior. I enjoy hearing older people talk about how they came to know Jesus “back in the day” as I find it interesting how methods of evangelism change over the years and how they stay the same. Below is a testimony from Donnalee Jackson, a very good friend of mine from the Plant City, Florida Seventh-day Adventist Church. I hope you enjoy her story as much as I did. As I look back, to reflect on how I became an Adventist, I see how I was led by the gentle, loving hand of Jesus. It has been a quiet progress that never seemed earth-shattering, however, my desire to find the truth, would take years of experiences, volumes of learning, and a growing longing, to find the right, narrow path. The people that have influenced me were not pushey or wishy-washy, but people that I respected and cared about. They shared with me things that made me think and wonder by saying one word, and just by their actions. As my years are fading away, having lived a long time, I am filled with an urgency to be a living example that will help everyone I meet and those that I have been so blessed to associate with, including, and so importantly, my family. Usually I am filled with meekness, patience, and loving thoughts to get a point over, and sometimes I feel that I need to share something unexpected to shake who-ever, to face their problems, pray about it, and find the real answers, usually by looking in the mirror. Now, to get back to how I got to this point—My Story! As a child, in Los Angeles, California, and my parents introduced me to Sunday school. We always walked to the little church that was down the street, across Temple Street and up to Union St. to the Union Methodist Church. It was comforting to learn about God and His love. On Temple St., we passed the little country grocery store, owned by the partnership of a Japanese family and a Chinese family. I’ll never forget the day when the government hauled the Japanese family away to a camp. It didn’t make any sense to me then, and still doesn’t. They were such wonderful, kind people. Jesus, that when they sang hymns, you could hear them almost from my house. When I peeked inside at them, they were all on their feet, waving their arms and singing at the top of their lungs. I wanted to join them, but I was pulled away and off to the one up the hill to the white church. Everyone knew what a stubborn child I was, and I was troubled between wanting to stay and hear these happy people, or obey my parents. I have refined my stubbornness now, with diplomacy and lots of love. Honesty was so important to me, that if someone would ask me If I liked something or not, I would tell them—it wasn’t always what they wanted to hear—and that got me into more trouble. I really hope that I have learned to control this part of my character. However, as a child, I was so small, that something coming out of my mouth was unforgivable. I heard that a child should be seen and not heard, and that made me wonder if honesty was only for children? Sometimes, my grandmother, who lived with us, took me to church. We went down the hill, through Echo Park to Aimee Semple McPherson’s Four Square church on Glendale Ave. In the front of the church, there were huge bins filled with wooden wheel chairs, crutches and other appliances. People had thrown them away when they were healed in this place. Amee was previously an actress that knew how to dramatize a production. 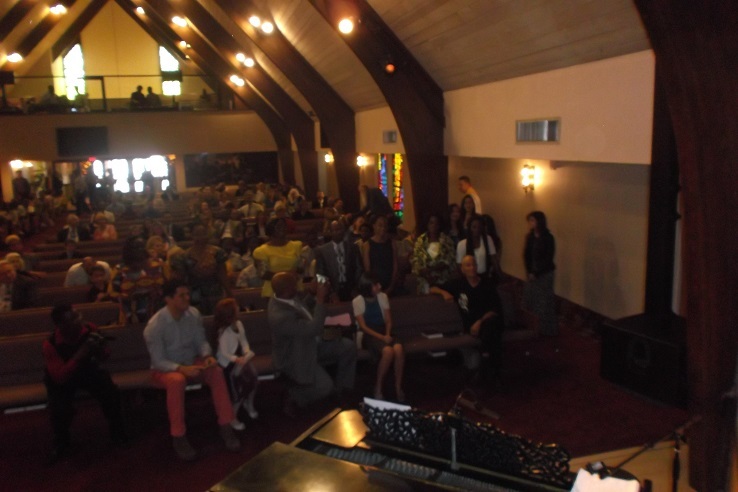 There was a stairway from the balcony down to the stage that she used when she made her entrance to be the preacher. She wore long white, flowing gowns belted with gold ropes, and came flowing down those stairs as if she were flying like an angel. The only thing that I remember her saying was when she took up the offering. She said that wanted us to be able to pin it on the drapes, and she didn’t want to hear any jingling in the plate. So I put my nickels back in my pocket, if that was how she felt. A few years later, when we moved to Glendale, CA, my Dad took us to Forest Lawn cemetery to visit my grandfather’s grave site. Aimee has a really big, white monument for her resting place. It looked to me like the place where Abraham Lincoln’s place was. two blocks was a Methodist church, and my grandmother took me there. Sunday school for teens was of some interest, and I met others my age that have become life-long friends. Fran was one of them that I was closet with. She is gone now, and remembering her fills me with laughter, fun and growing to adulthood with her. Now, since her children are like my children, I am reminded of the fun we had at the Methodist church. It’s an SDA church now. On the way to church, we stopped and got the Herald Examiner Paper. Fran and I would sit in the far back, near the exit, and quietly read the funny pages with each other. Again, I am reminded of the emphasis on collecting the offering. A lot of time was taken up on the needs of the church, and it was mentioned several times during the sermons. I began to wonder if all churches were so money hungry. I never had very much money to do anything with. My Mother made most of my clothes, my Dad worked hard all the time. He even sold his blood to supplement our income. Everything was planned and saved for. There was no such things as credit cards. We used cardboard in our shoes, and wore hand-me-downs. I was glad I had an older brother, because I never had to wear any of his old clothes. We had to share bath-tub water with each other; and were told to eat everything on our plate, because there are starving children everywhere. We had our garden and chickens to supply us with a lot of food. My grandfather had built our house on Belmont St., Los Angeles, CA. He made his own nails out of wood. So I have always been impressed with how to do with what you got. One man’s junk was another man’s treasure. To this day, my son has made a science of this virtue, and saved his family a lot of money. After I got married and became a mother, I started looking around for a church to go to with my children. I went to several different denominations. When I went to the Presbyterian church, I went in with a stroller for my son and held on to my daughter’s hand. I had read about the mark of the beast and his number, and was searching for a church that followed and taught from the Bible. set of two foot square blocks. They had been having a building fund drive for repairs on the church and every Sunday they announced the current amount that was collected and, they put it on the blocks. I took a second look, and on the blocks was 666. I couldn’t pack up and get out of there fast enough. Besides, the lady sitting in front of me was glaring at me when my son slurped at his bottle. So far, none of several churches met my needs. I got a job at the Orthopedic Appliance Center that was two blocks from my home. I knew the people pretty well since they had made my son’s special brace–the Dennis Browne Splint, attached to shoes that he wore at night. This corrected his feet to go straight ahead instead of outward. The Spillers knew I could sew, so they asked me if I could make special back braces and bras. Now, Mom watched the kids for me, and I finally made some dollars. It was quite an experience making those awful, torturous garments. When the office was slow, I did the accounting and receptionist jobs. Sometimes when everything was done, I told Mr. Spillers that I had to do something, not just sit there and twiddle my thumbs. Mr. & Mrs. Spillers were Seven-day Adventists, and she brought me a whole set of Bible lesson studies. I thought, wow, a church that refers to the Bible for all the answers. After finishing the series of studies, and receiving the answers from their Bible worker, I wanted more. So I called Betty, the Bible teacher, and she set up a time for me to have lessons every week. This is what I had been looking for. It made sense. She invited me to join them on Saturday for Sabbath school and church service. My husband studied with Betty too, and I was baptized in 1968 and he was in 1970.
lessons from me as the lessons that Mrs. Spillers had provided. My journey to find the truth, has led me to the happiest, loving people on earth. My three friends, after studying with me, were soon baptized, and we all went to church together. I am still tempted and sometimes I trip, but Jesus still loves me, as He picks me up, dusts me off, and leads me on the right narrow path. My children have been baptized and occasionally we worshiped together. Growing up, I never had family worship at Sundown on Fridays and still feel envious of those who do study together. I wonder what my life would have been like to have done that. In Numbers 21 the Children of Israel wanted the luxuries of Egypt instead of the presence of God. So God allowed snakes to enter the camp, providing the opportunity to learn how much they depended on Him. The people soon realized they had made a mistake and begged for the snakes to be removed. That is when God instructed Moses to make the brass snake and lift it on a pole, so when people looked at it they could live. The snake was a reminder that God was the source of their healing. The snake was not the goal, but a means to the goal. The goal was the Messiah, later known by name as Jesus. The purpose of the bronze snake on a pole was to lead people to worship Jehovah, the same Person who later walked this earth as Jesus Christ. However, over time, people began to worship the bronze snake itself! During a revival, Hezekiah destroyed the bronze snake so that people would worship God instead of making idols out of the things that pointed to God. So we see here that even good things can become idols when they become the focus of our worship instead of God. Worshiping the creation instead of the Creator is a very easy yet dangerous thing to do! The snake on the pole is not the only God-ordained symbol that God’s people made an idol out of instead of worshiping God Himself. 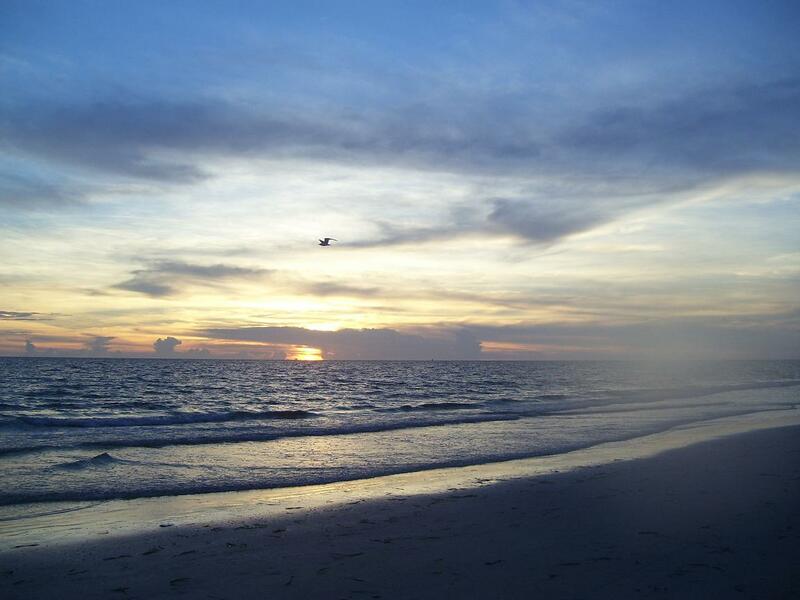 The Sabbath is an eternal symbol and memorial pointing us to our Creator. Yet when Jesus walked the earth He had to remind people that the Sabbath was an eternal, never to be removed symbol to lead us to God, and not something to be worshiped in and of itself. The Sabbath was not to be an idol. So an idol is anything that absorbs our affections more than Jesus, even if it is something in the church. We may not have statues of Mary in our churches, but is it possible there are still some idols lying around in our church? Let’s not be too smug. If God’s true people had idols in Hezekiah’s day, and again in Christ’s day, chances are good we need to take a good look around, and see if there are any symbols, traditions or dates – as good and noble as they may be – that are absorbing more of our focus and worship than Jesus. 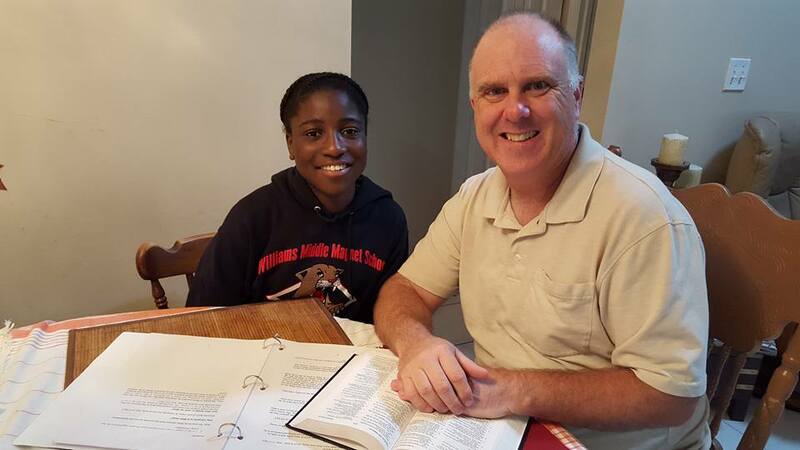 After studying with DeKontee’s sisters JanJay and Tinsey several years ago, I was very happy when DeKontee’s family invited me to study with her, to help prepare her for baptism. I enjoyed our studies every week. DeKontee’s family always spoils me with lots of starfruit from their backyard, and nice home cooked meals that I could eat with them, or they would pack for me to go if I had to run to my next Bible study. One thing is sure, you can always feel the love in their home. 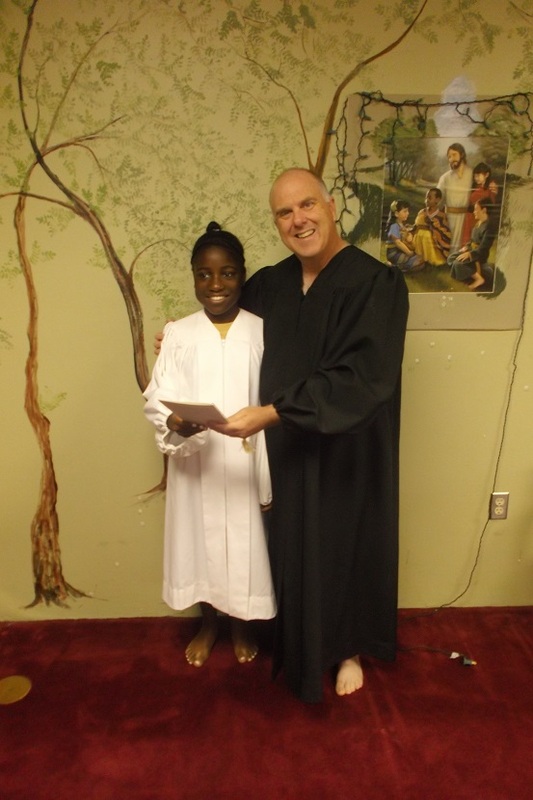 Dekontee was very proud to receive her baptism certificate, which contains the Bible teachings we went over in our studies. 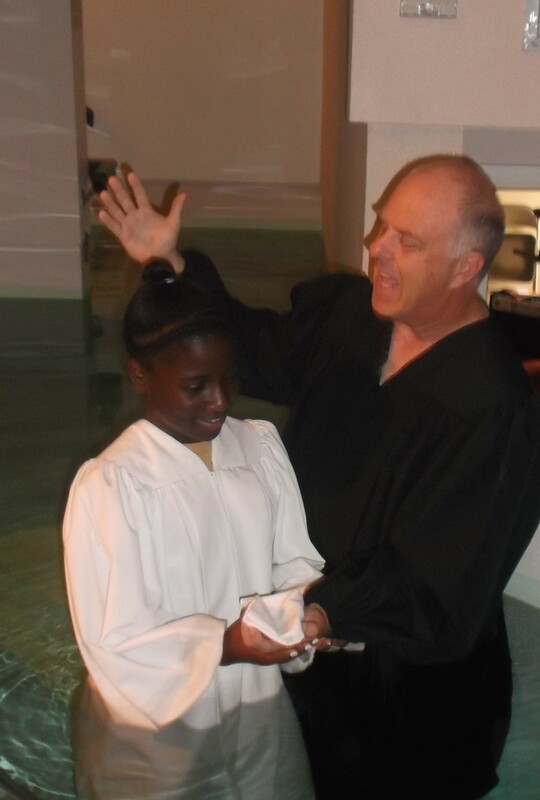 DeKontee also wrote a note about her baptism which she asked Pastor Brad to share with the church family. DeKontee’s family and her Tampa First Pathfinder Club were up front to show their support. DeKontee even had family from Africa! DeKontee and I did a “dry” rehearsal of the baptism before going into the water. I always remind everyone to be sure and bend their knees when I baptize them. Otherwise their feet will go flying out of the water! Dwayne, Whom I baptized a few years ago when he became a part of the Tampa First SDA Church family, now welcomes DeKontee to the Tampa First Church family, and many others welcomed her as well. As my Bible Worker ministry is now 100% reliant upon contributions, I would like to thank those who are loyally supporting this ministry so I can continue sharing the gospel with others in the bay area and around the world, just like DeKontee. 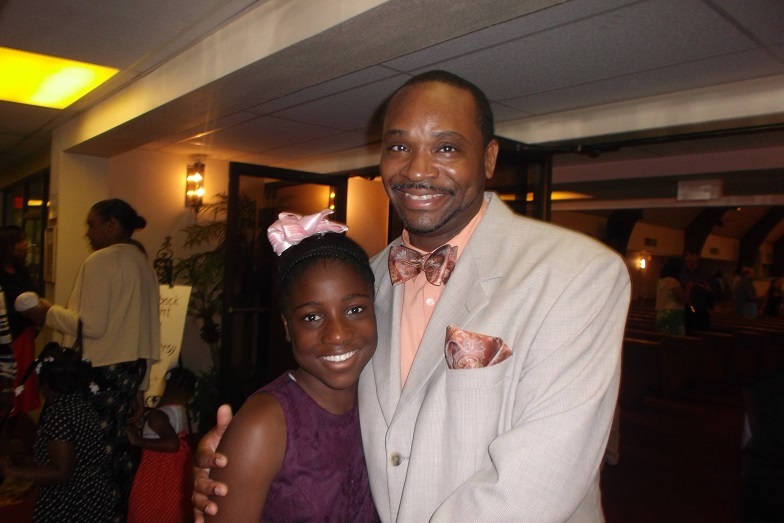 Contributions can be sent to the Plant City SDA Church PO Box 5379 Plant City, Fl 33563. Thank you!